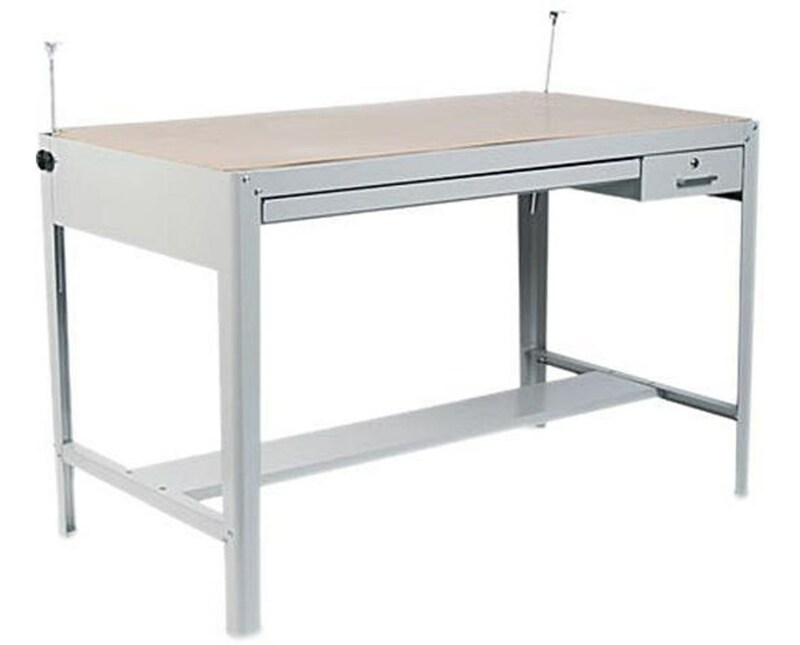 The Base for Safco Precision Drafting Table is a classic four-post drawing table that can be used for an art table or desk and is compatible with Safco Precision Table Top. This table base has an overall dimension of 56 ½ inches long, 30 ½ inches wide, and 35 ½ inches high. It includes a 12 ½ inches wide tool drawer with lock and a 38 ¼ inches wide reference drawer. It also features a tilt angle that is adjustable up to 50 degrees. 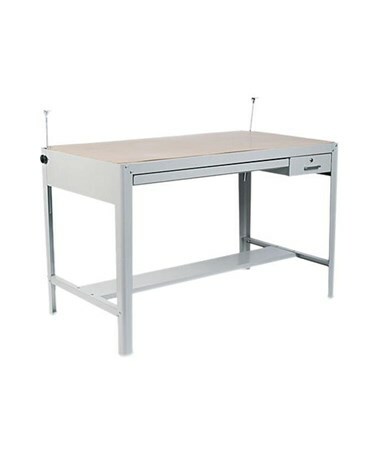 This gray drafting table base is made of steel with four-post design and stabilizing bars. It has a powder coat finish and is GREENGUARD certified for low chemical emissions. 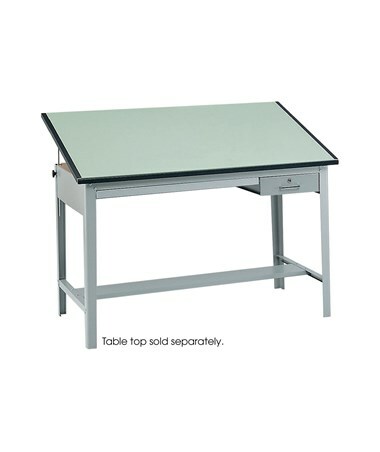 It is easy to assemble and table tops are easy to install to it.